My br fell 15k when i refreshed, I checked to make sure all of my nostrums were on and I had all of my titles on too, it was 1,770,000ish and dropped down to 1,755,000ish. And I believe it to be the second time this has happened to me today, it happened at 10pm exactly game time today. if anyone knows what happened or if i maybe forgot to check something please tell me, but I think this is a bug. 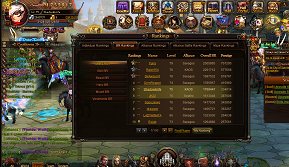 It\'s because of Aristocracy ranking. 2019-4-20 04:59 GMT+8 , Processed in 0.048741 second(s), 38 queries .